During my lifetime, I noted that men and women, particularly men, desire to tell stories concerning life experiences. If you know a fireman or policeman good enough, you know they can entertain all day by relating their on-the-job experiences. Even mundane occupations are settings once and for all stories. Having worked at the telephone company for thirty-two years, I had my share of experiences. I share these with my friends and family. Sooner or later, someone suggested writing the sunday paper. Not a classic, but one of those bathroom novels rich in short stories. That’s what you’ll discover here. However bizarre, all of them are true. Of course what they are called were changed to guard my buddies and me who did and said some incredibly stupid and infrequently dangerous things. In some cases, the corporation policies and procedures I reveal may not be depicted because they actually were. I’ve experimented with depict them because field foremen, technicians, and I perceived them. You will have many laughs and over a few “I’ve been there” moments as you go along. The telephone company wasn’t my expereince of living, so I threw in some personal and family stories along the route. 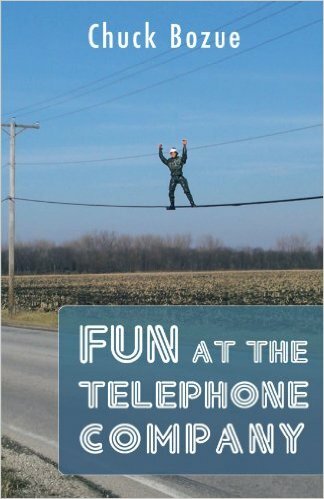 Hopefully between work and home, these stories will provide you with background about the real telephone company plus a seemingly directionless one who was successful as a consequence of both.